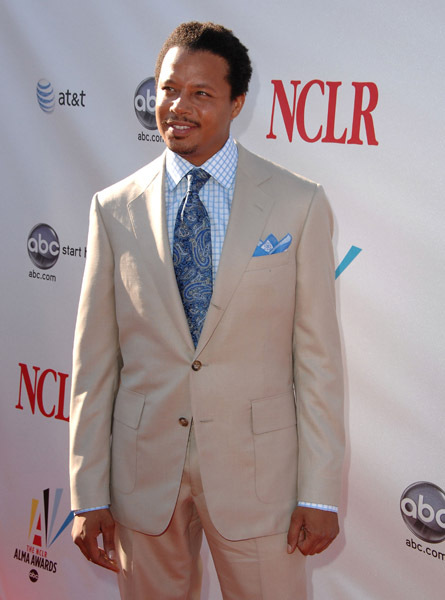 Terrence Howard hit up the 2008 Alma Awards yesterday in Pasadena rocking the hell out of that signature Eddie Munster do. Somewhere the actor who played Eddie Munster is probably pissed and getting his papers together in order to file a copyright infringement lawsuit. Former “Girlfriends” actress Persia White attended the awards show looking OK. Mario and Karina Smirnoff were very photogenic on the carpet but help us out just fill in this blank for us. The top of Mario’s head looks just like a _ _ _ _ _ with hair on it.